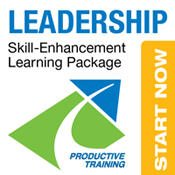 Four to ten integrated full or half day modules covering “most needed” practical skills such as performance appraisal, handling problem employees, effective delegation, win-win negotiating, proactive problem solving and more. From earning more employee trust and respect to guiding employees to perform as a team, this series helps supervisors to build or strengthen the skills needed for better results and teamwork. The workshops cover practical skills that make a difference on the bottom-line in the real-world including *how to communicate more effectively with clear goals/expectations *ways to invite and encourage greater motivation and teamwork *self-development and self-management for better daily influence and outcomes *healthy approaches to utilize or deal with conflict in the work environment. Supervisors gain knowledge and skill-practice directly related to their responsibility for getting the work accomplished with and through the performance of others. What we discovered several years ago is that one-shot programs have limited lasting impact. Stand-alone training often just increases awareness of principles and tools with little retention and application. While that type of training can be helpful, it often misses the mark for today’s organizations seeking long-term sustainable results from necessary or desired behavior changes. Today we deliver specifically what we know works best; well planned, communicated and executed, integrated workshop series that are intentionally spaced-apart to create application and practice time.